If you’re looking for resources to celebrate Valentine’s Day with students, PBS LearningMedia has a number of them for grades preK-12. For example, you can find the calligraphy print for love (shown here), primary source letters from President Eisenhower to his wife during WW II, a video about St. Valentine defiantly marrying couples only to be put to death, and more. A search of Valentine’s Day at PBS LearningMedia yields a wide variety of resources. 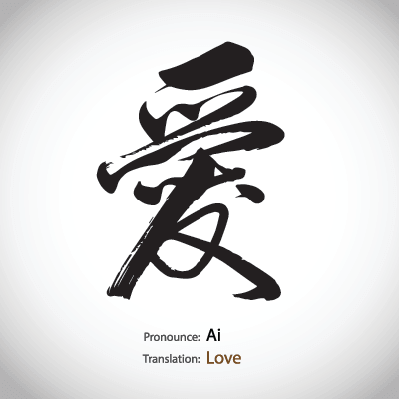 Chinese Calligraphy: Love / Clipart: ?Love? wrote by Chinese calligraphy. From the Getty Images iStock / 360 collection. Artwork by yolande1955. Valentine’s Day | All About the Holidays: No one knows for sure who St. Valentine was, but we still honor him with a holiday. Listen to one legend about who he was and discover more about this celebration of love. ← Should Black History Be More Than A Month?